Supremely soft in 100% plush velvet, this whimsical Dinosaur vibrant design is as cozy as it gets! Softer than fleece, it's the perfect dinosaur snuggle blanket on the couch, road trips or as added comfort & warmth for naptime or bedtime. Perfect bday gift for grandson! 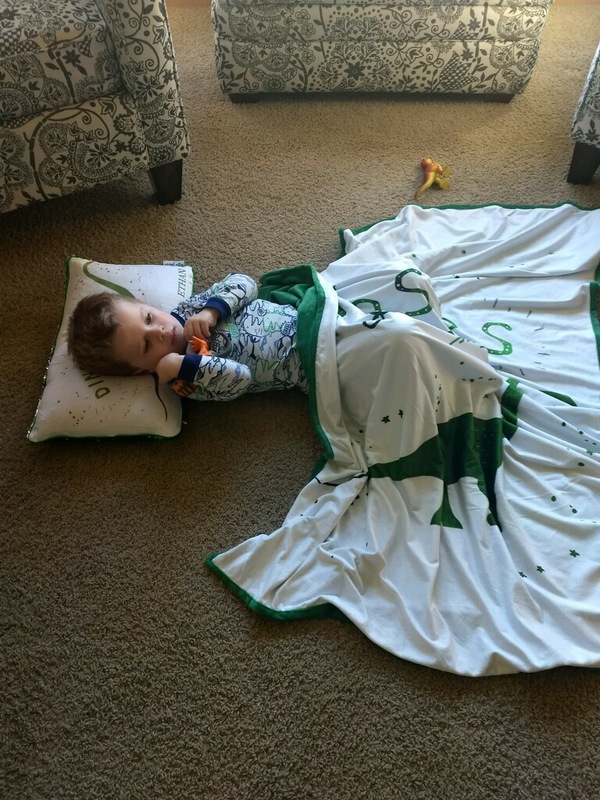 I bought the dinosaur pillow and the blanket for my 3 year old grandson—after buying his older sister the mermaid pillow last year. He loved it! It is sooo soft—and larger than I thought. His sister loved it too, so I will have to look for a mermaid blanket for her. If I could publish a picture, I would. And—as always, this company’s customer service is top notch. Thanks to them, it arrived in time for his bday. My budding paleontologist loves this blanket. He has a blanket that he has been attached to for some time and this is now blankie #2.